The Smooth Movers: the Smoothest Furniture Removalists in PerthWhether you are moving houses or offices, a detailed action plan is a must. As Winston Churchill once said, “If you fail to plan, you plan to fail”. Press Release (ePRNews.com) - Perth, Western Australia - Apr 14, 2019 - Whether you are moving houses or offices, a detailed action plan is a must. As Winston Churchill once said, “If you fail to plan, you plan to fail”. If you don’t know where to begin, start with a step-by-step moving house checklist. By dividing the entire process into smaller tasks, you will kick stress out of the move. Ticking items off your list helps you document the progress and monitor the tasks you still need to take care of. Think of every little detail you can miss while packing. For instance, a step that many people forget about is booking a professional moving service in advance. Where to find an excellent moving service? Are you looking for affordable yet professional furniture removalists in Perth? Then the Smooth Movers are the right choice for you. The company has 4.5, 6 and 8-tonne trucks to make your move as smooth as possible. With years of experience, the team knows how to take care of moving furniture to a new space. The Smooth Movers have all the packing materials you might need: boxes of all sizes, bubble wrap, packing tape, butchers tape and even sofa wrapping plastic. Why Working with the Smooth Movers? 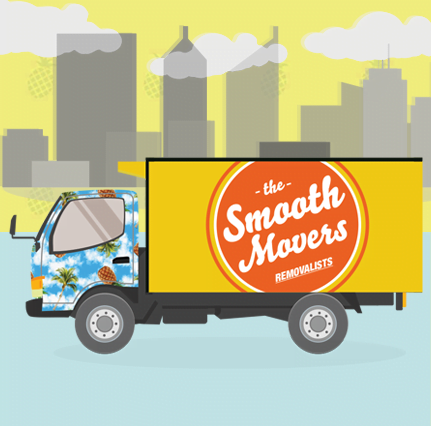 The Smooth Movers are the team of local professionals who know their way around town. They always make sure to find the best and quickest way to get your belongings from point A to point B. The company will move your furniture to the next destination in no time. In addition to fast and affordable services, these furniture removalists in Perth have the transit and public liability insurance to guarantee that your possessions arrive in safety. Aiming at providing the best quality service, the Smooth Movers are transparent about their pricing. You can find their quotes directly on the website.Book the Smooth Movers’ services today and make your move as smooth as possible.